Where| Outside IIT Delhi Hostel Gate, Hauz Khas, New Delhi. Let’s face it. In today’s world, everything has become very expensive. And finding a place that serves to you an entire meal just under INR 100 is next to impossible. But there is a place just outside IIT- Delhi. Sassi Ka Dhaba is a popular hangout place for a lot of people and you can have your meal just under INR 100! Residing just outside IIT- Delhi, Sassi Ka Dhaba has been serving IITians for many years now. If ever you meet an IITian you’ll definitely hear about this place. Every student will tell you about with fond memories of having hung out between and after classes just to get a cup of tea and sutta. This place is a savior whenever you don’t want to spend a bomb on your meal. It is a small shack but it is said that the place serves one of the best aloo parathas in town. 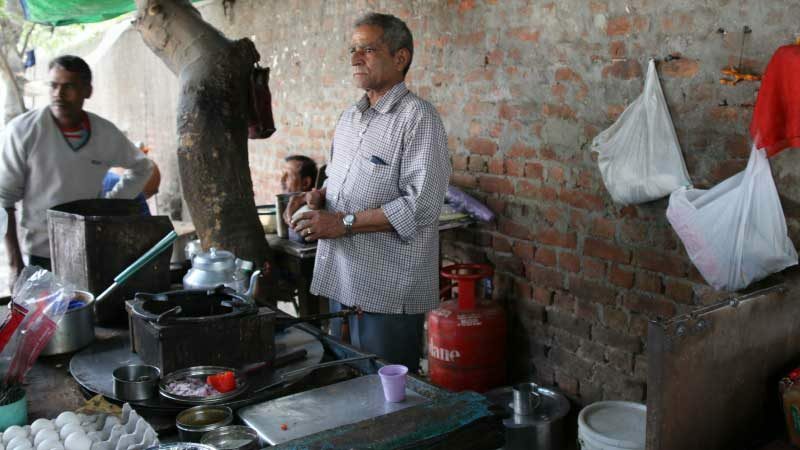 They are known for serving paranthas, aloo bun butter, Maggi noodles with half-fried eggs, and the most epic chai! The place is loaded with student crowd as it is extremely affordable and worth a visit. Not just this. During summer, Sassi Ka Dhaba serves its customers refreshing lemonade giving them a little respite from the heat for a few minutes.The place is visited by a lot of ex-students and people around the area.